People of all ages appreciate having a swimming pool on holiday. Sometimes it may not be used very much except for an evening swim before dinner, or in the case of an outdoor pool, it may be in high demand when the weather is hot and there are children about. 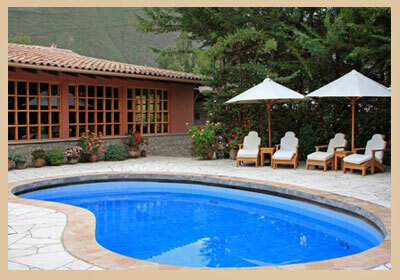 The season for heated outdoor swimming pools tends to be limited to between May and September. An outdoor pool is a real luxury considering its limited use over the course of the year, however it is a desirable asset, especially if there is space for garden furniture, sun loungers and parasols..
Certain holiday parks may have an outdoor swimming pool and a heated indoor pool to maintain the attraction during every season and not just those peak school holiday periods. 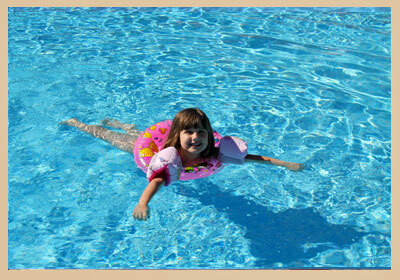 Holiday parks can afford to provide a top notch leisure facility built around a central swimming pool. The individual holiday properties may range from the tens to the hundreds and it is a matter of choice and budget where people stay. The popular UK holiday destinations feature the greatest density of holiday parks. These are dotted all around the Lake District, Cornwall and Devon, along the Welsh, Yorkshire and East Anglian coasts. Often it is a case of beautiful holiday area with natural assets that makes the initial investment of a holiday park worthwhile, although smaller ones are being built in other areas. After time, the new holiday parks tend to compete favourably with older properties because all furnishings are brand new and reflect latest designs. The same also applies to the lesiure facilities which can become a little dated and shabby after years of use.